My first grown up blush I ever bought was the Benefit Coralista blush (here) - one I still love to this today because of the easy-to-wear coral tones. So when my Coralista died a slow death I got a new one, which I thought I would review with you in this post: the Clinique Blushing Blush Powder Blush in 15 Smoldering Plum (yes I know that is a lot of blushes in one name). Although this is a slightly more pink / red blush than the Benefit but it is still very wearable. The pink is warm and natural looking, and overall very buildable! I have found it a really great blush, it lasts all day and stays matte- whereas I know that some blushes can look a bit greasy after a while, so this is a real plus point! I think it's going to last for ages, just like the Coralista because a little goes a long way- so be careful not to apply too much at once! I think there is a little tiny bit of shimmer to the blush which gives a highlighting effect without being 1999! I got this blush as part of a gift set when I bought some new skincare, but you can buy this blush (and in other colours) here. 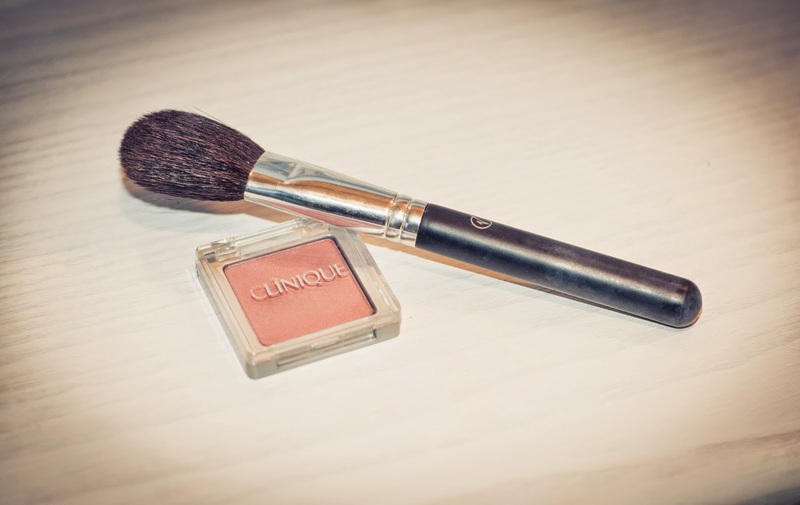 Have you tried a Clinique blush? What did you think?